Snap up the Dark Vanguard, Wukong, and Tomato Head items via the Fortnite Item Shop in-game today. Looking to add a few new items to your menagerie of stuff in Fortnite? There are three new items you can pick up today, in the form of the Dark Vanguard, Wukong, and Tomatohead goodies, now available. If you want to pick them up, just head to the Item Shop in Fortnite to check them out. All three outfits are up for grabs right now, as Featured Items in the game's showcase rotation. The Wukong, Dark Vanguard, and Tomatohead items vary in pricing. The Wukong outfit costs 2,000 V-Bucks, as does the Dark Vanguard outfit, while Tomatohead is just 1,500 V-Bucks. The Wukong set looks like a legendary warrior, with the caption "Let your royale flag fly," and comes with two crossed flags as back bling. With all of it equipped, you'll look like an ancient warrior. You can throw in a matching harvesting tool to complete the look. 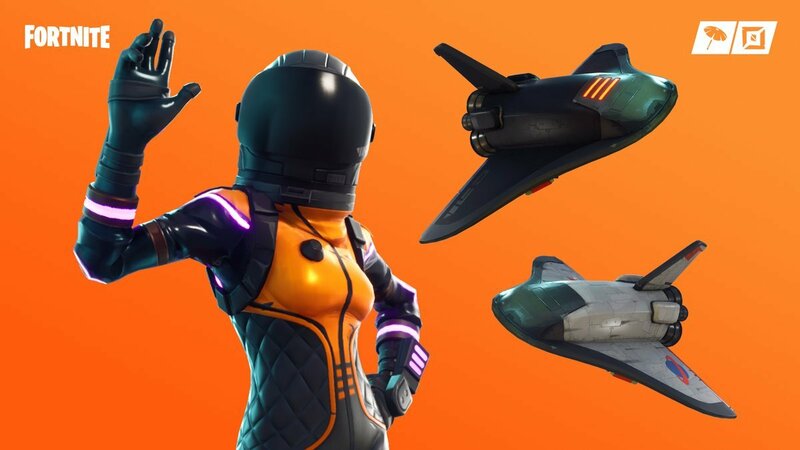 The Dark Vanguard outfit is captioned "Exploring the outer limits." It's part of the Space Explorers set and looks like a dark astronaut costume. The Deep Space Lander Glider and Orbital Shutter Glider go with it. Lastly, the Tomatohead outfit is captioned "Extra saucy." as it turns you into a pizza mascot. There's a different top you can wear too with the Extra Cheese Glider that resembles a slice of cheese pizza. These are the newest additions to a wide variety of cosmetic options in Fortnite that let you change up your character as you see fit. There's a lot of different things you can purchase to further make your character yours, whether you choose skins or outfits, and they all cost around the same as these new additions. 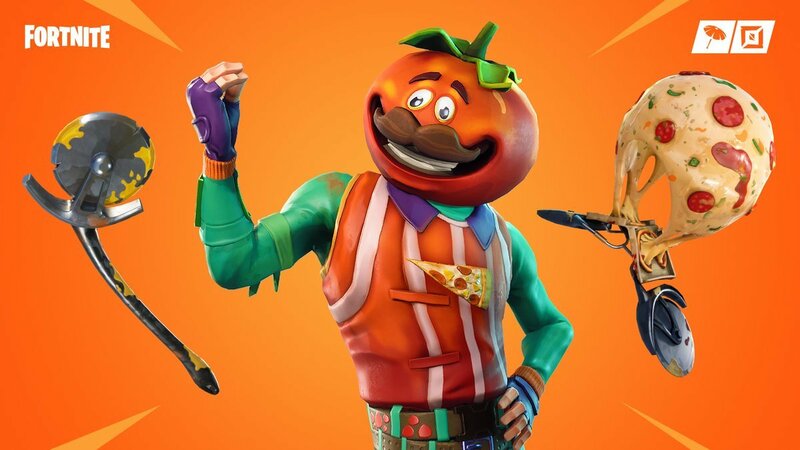 Personally, we're quite partial to Tomatohead, who has that super sick cheese glider. We could really go for a slice of steaming hot cheese pizza right now.